Book us in to book you up! 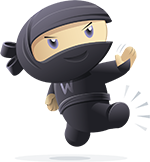 Our experienced WooCommerce specialists have been booking for years! The booking extension of WooCommerce is really important to sites that require the confirmation of a date or time. Theatres, service providers, online paid seminars and accommodation providers are all examples of online stores that require booking functionality. Our professional and experienced WooCommerce developers can help you with all of your booking requirements. What Can Lime Do for Your Bookings? Your booking service can be completely bespoke and tailored to suit the needs of your company and the preferences of your customers. Our team is here to help do so much more with your reservation functionality. Here at Lime Web Development will do everything we can to improve your user experience and site performance. From the front end design to the back end functionality, we will build a booking feature from the ground up to give you exactly what you want. Fill out the form below for more information from one of our custom development experts, or alternatively you can call us on 01257 752505.